Well Lasso Me with Truth and Cuteness! Saw this while cruising Instagram and I had could hardly hold back the squee of joy! 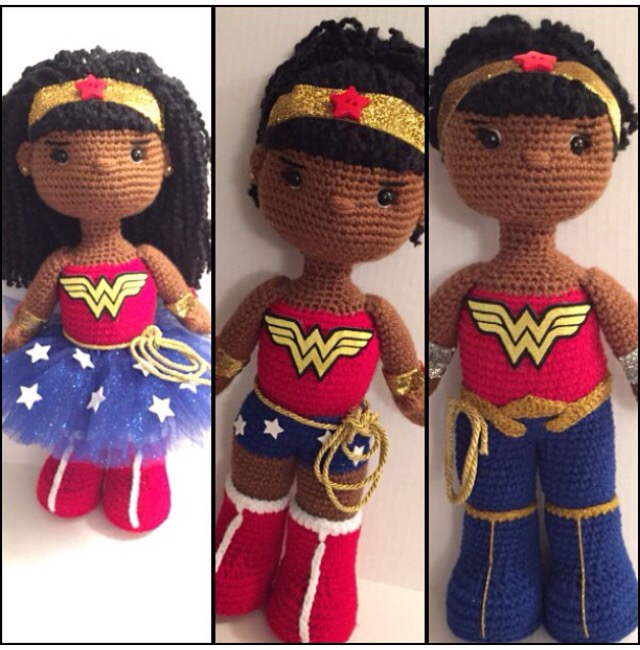 Offdhookcreations makes a bunch of afrocentric and super hero dolls for girls of color! Anyone can enjoy them really but it was first time I’ve seen anything quite like this and I would have loved a black Wonder Woman doll when I was a wee geek girl. Mad props to you Offdhook!